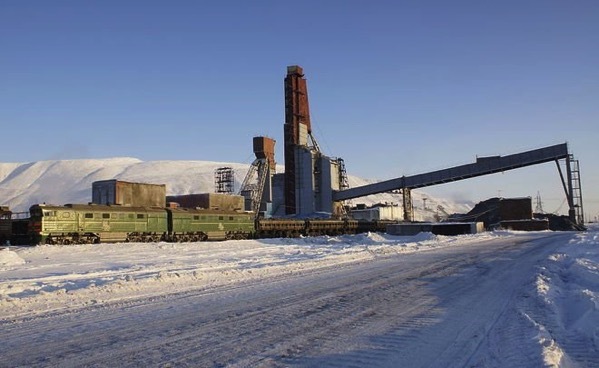 According to the Guardian and the Siberian Times, the snow is tainted with toxic black coal dust that was released into the air from open coal pits and improperly maintained factories in the region. One coal plant official told the local media that a shield meant to prevent coal powder from escaping out of the factory had malfunctioned — however, toxic black snowfall seems to be a regular phenomena in the area and it isn’t necessarily tied to a single source. Kuzbass (short for Kuznetsk Basin) is one of the largest coalfields in the world, spanning more than 10,000 square miles (26,000 square kilometers). A 2015 report from Ecodefense found that the citizens of Kuzbass have an average life expectancy 3 to 4 years shorter than the Russian national average and have nearly twice the risk of contracting tuberculosis and childhood mental disorders. Black snows like this one are a frequent winter feature in the region, the report found, and mitigation attempts have been… lacking. For instance, in December 2018, regional authorities were accused of trying to hide the toxic black stuff by literally painting over it with white pigment. Russia is using Soviet-era technology to make chemically induced rain clouds in desperate bid to stop raging wildfires. Black smoke has already travelled 5,000 miles, hitting Canada and parts of the US, as the out-of-control fires spreading. 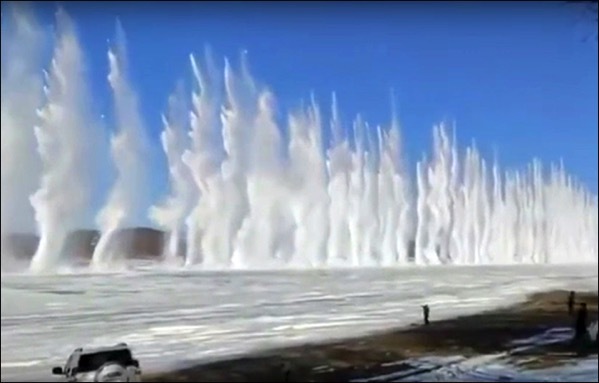 Originally invented to bring sunshine to the Red Square for communist military parades, the high-tech plan sess clouds spiked with a chemical cocktail causing precipitation to drench out-of-control flames affecting Yakutia – the world’s coldest region. Brown bears are fleeing the burning Siberian taiga and venturing close to towns and villages where they are being shot as a danger to people. Greenpeace say territories equal to the size of Scotland and Northern Ireland combined has been destroyed in Russian wildfires in recent weeks – including swathes of irreplaceable ancient boreal forest. According to the B.C. Wildfire Service, there were 61 fires burning across the province on Saturday, about half of them lightning-caused and at least 18 of them human-caused. Sweden’s heatwave shows no sign of ending, but there is a risk of forest fires in almost all of the country, and the drought is a problem for farmers. National weather agency SMHI currently has wildfire warnings in place in all of Sweden apart from in the mountains in the north-west. More than 2,000 calls came in to emergency services during the month of June alone about wildfires and the public is urged to respect any barbecue bans in place in their local area. Smoke created from massive wildfires more than 4,000 miles away in Siberia reached New England this week. The wildfires were burning in eastern Siberia and have lofted massive amounts of smoke high into the atmosphere. Strong winds aloft in the polar jet stream carried some of the smoke from the fires across the Bering Strait and into northern Alaska, then southeastward into central Canada and eventually across the Great Lakes and eastward into southern New England. However, the exploration is hindered by some of the harshest conditions in the world. Kupol gold mine in the Chukotka region exploited by Canadian company Kinross is only accessible by air for most of the year. All of the supplies for the year for its 1,000 workers are transported between November and April when a 220-mile ice road is opened. The isolation makes Siberian mines hard places to live and work. Although Siberia is one of the coldest places on earth, global warming has already begun to affect the northern landscape. Less snow and ice in areas such as Siberia is potentially easing aspects such as transport, extraction and recruitment like it happens in the oil and gas industry, where the melting of Arctic ice has opened areas previously inaccessible or too treacherous for operations. Firefighters have extinguished nearly 100 wildfires across Russia on a total area of more than 7,400 hectares over the past 24 hours, the press service of the Aerial Forest Protection Service said on Tuesday. “As of midnight on May 22, 45 wildfires were raging in the territory of 23,648 ha, and an active firefighting effort has been ongoing,” the statement said. On Monday, 55 fire hotspots on the area of 20,700 ha were registered in the Russian forests. The largest blazes are raging in the Far Eastern Amur Region, with 13,700 hectares covered by 12 blazes. Large areas engulfed by fires have also been registered in the Khabarovsk Region (960 ha), Primorye (17 ha), Yakutia (2 ha) and the Jewish Autonomous Region (50 ha). Besides Russia’s Far East, the wildfires have been registered in the Transbaikal Region on the area of more than 8,600 ha, in the Chelyabinsk Region (200 ha), in the Murmansk Region (21 ha), the Republic of Dagestan (16 ha), in the Sverdlovsk, Murmansk, Chelyabinsk, and Tyumen Regions, and also in some areas of the Tyva Republic. The firefighting effort involves some 2,500 people and more than 550 pieces of equipment. Some 33 aircraft are monitoring the situation. 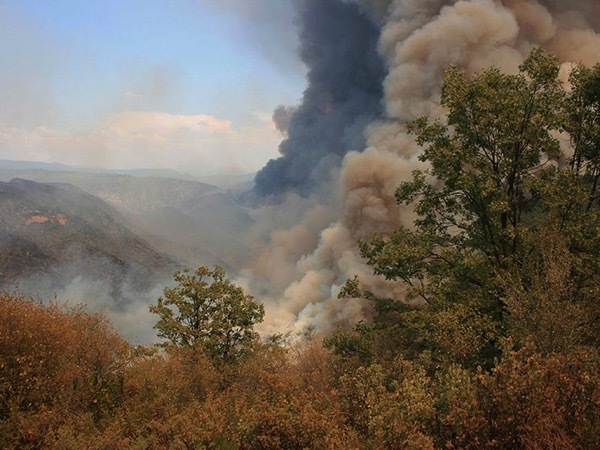 A large wildfire on a hill near Komsomolsk-on-Amur has stifled the far-east city in smoke. Locals say the authorities have failed to tackle the fires. A train confronted by the fire was abandoned by the driver. Firefighters on the ground near Bruderheim, Alta., have been working hard to keep raging wildfire flames away from homes but dry, windy conditions are complicating their efforts after multiple large grassfires ignited Saturday. Firefighters in the Texas Panhandle are working to contain a wildfire that has blackened more than 69,000 acres. Nearly 300 firefighters are at the blaze, which began last week about 40 miles southeast of Amarillo and not far from Palo Duro Canyon, the Texas A&M Forest Service reported Sunday. The fire was about 15 percent contained Sunday afternoon. 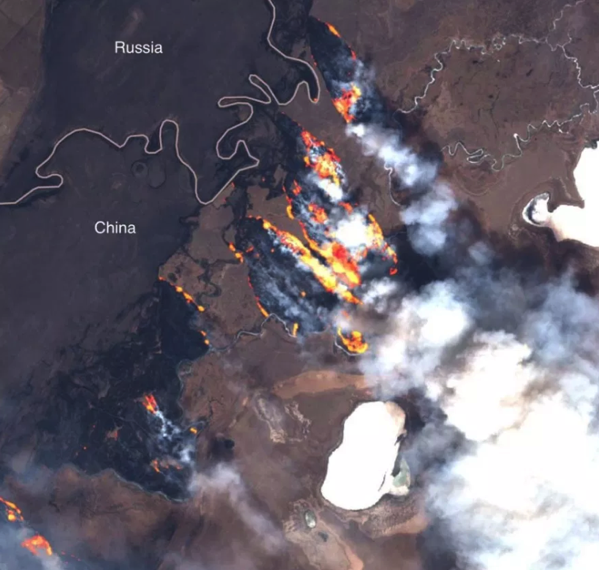 As many as 37 wildfires have been reported in Siberia and Russia’s Far East, sweeping across more than 4,200 hectares of land. Russia’s Federal Forest Protection Service said on April 25 that the largest wildfires were raging in the Amur and Zabaikalye regions. Wildfires were also reported in the regions of Buryatia, Irkutsk, and Tuva. Russia’s wildfire season usually starts in April or May each year and mainly affects thick forests in Siberia and the Far East. Wildfires in Russia’s Far East and Siberia swelled by 3,600 ha to 16,700 ha over the past 24 hours, the Russian Aerial Forest Protection Service reported on Friday. 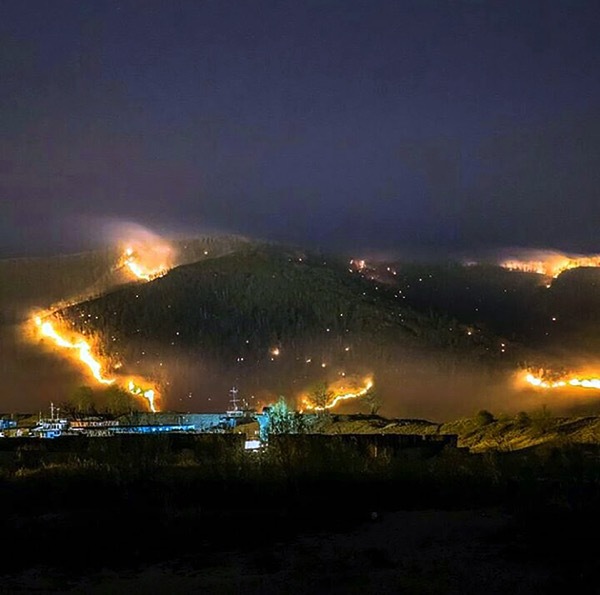 “The major increase occurred in the Magadan Region – in one day the wildfire area grew 43-fold from 40 ha to 1,700 ha. In the Amur Region the wildfires grew from 1,700 to almost 2,000 ha, and in the Irkutsk Region – from 4,000 to 5,200 ha,” the service said. Eleven wildfires are burning in New Mexico as of Thursday. The state Department of Health issued a smoke advisory for northern parts of the state. Particle pollution from wildfires, long known for containing soot and other fine particles known to be dangerous to human health, is much worse than previously thought, a new study shows. Naturally burning timber and brush from wildfires release dangerous particles into the air at a rate three times as high as levels known by the EPA, researchers at Georgia Tech found. Scientists sampled air quality by flying planes directly into thick plumes from three major wildfires, including the 2013 Rim Fire, the largest wildfire in the Sierra Nevada. 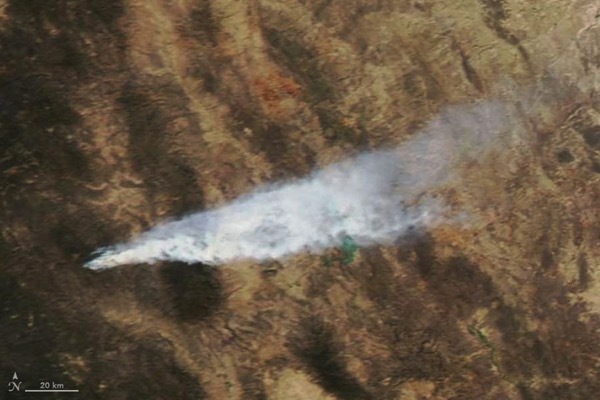 Previous EPA data was based on plume samples from controlled burns. Greg Huey is the study’s lead author. “Under the conditions of the prescribed fires, it seems like you can get a smaller impact on air quality, So I think an extrapolation is that if you had more prescribed burning you might prevent some wildfires and in the process of doing that you would also probably help air quality issues,” Huey says. The study also found wildfires spew methanol, benzene, ozone and other noxious chemicals. Wildfires raging through Siberia have swelled by more than 2,000 ha over the past 24 hours engulfing 9,200 ha, the Russian Aerial Forest Protection Service reported on Wednesday. 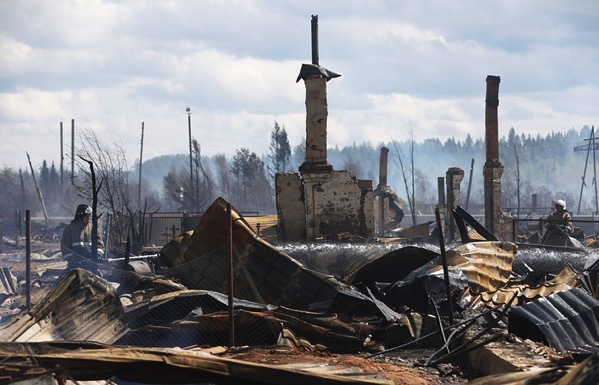 The Irkutsk Region and the Transbaikal Territory are among the worst-hit areas, according to the service.